This is our office manager Avril. 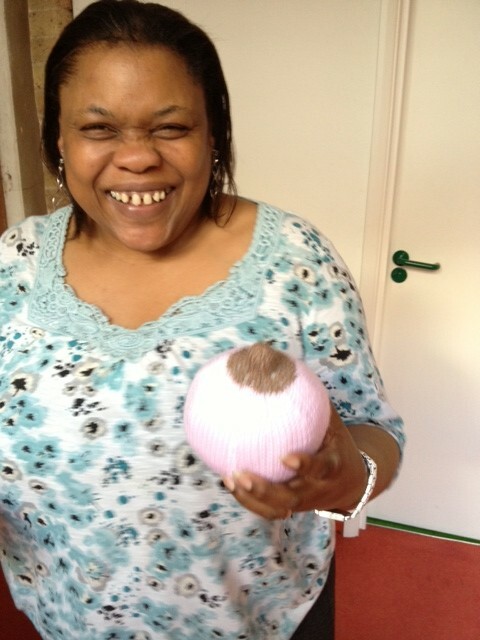 Her son works at St Thomas’s Hospital in London and they have ordered these knitted bosoms from Ebay. Did you know that hospitals and family centres use prosthetic breasts to train mothers who are finding it hard to breastfeed. They are used for teaching the mothers, not the babies, otherwise they would get a mouthful of fluff, nothing like the real thing at all. We have tracked down some patterns online and we are happy to share them here. Why not knit some and we will make sure that they get to the right people. If you work in a hospital, family centre or maternity ward do get in touch. This is a straightforward pattern knitted on 2 needles with a circular base that can be crocheted. 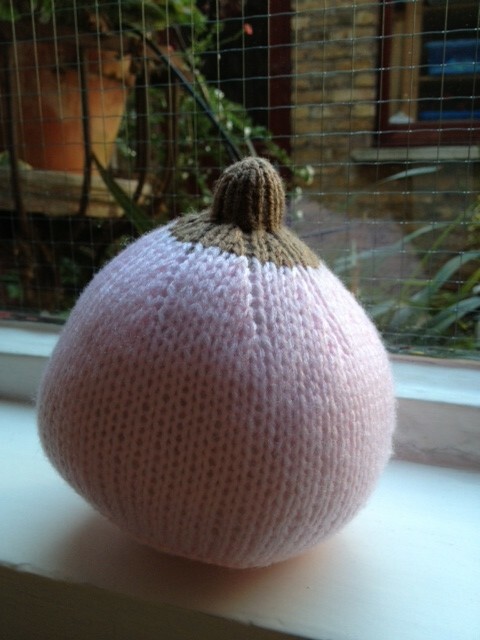 This pattern is knitted in the round and has some rather satisfying shaping around the base. So what are you waiting for? More reasons, as if you needed them, to get busy with your needles.